Acting Defense Secretary Patrick Shanahan says the Trump administration will not ask allies who host U.S. troops to pay the full cost of hosting plus an extra 50 percent for the privilege of having American soldiers on their soil. Why this matters: Democrats and Republicans in both chambers were alarmed when Bloomberg reported last week that "under White House direction, the administration is drawing up demands that Germany, Japan and eventually any other country hosting U.S. troops pay the full price of American soldiers deployed on their soil — plus 50 percent or more for the privilege of hosting them." The Democratic chairman of the House Armed Services Committee described the reported idea as "monumentally stupid," and other lawmakers privately fretted that Trump would demand too much and undermine relationships with key allies. 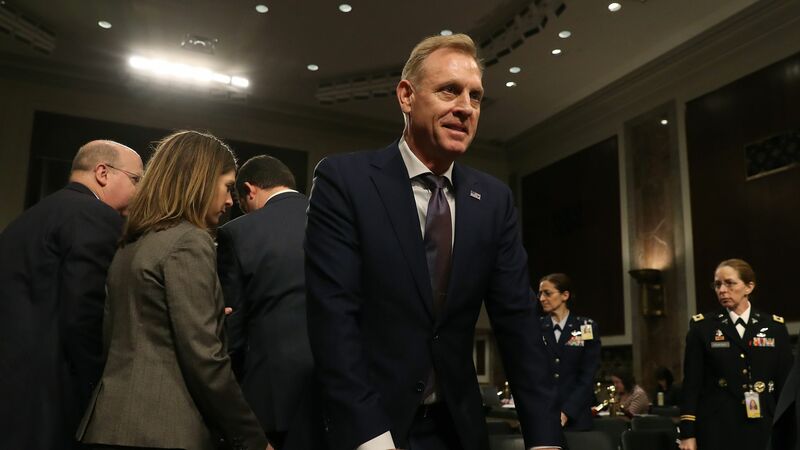 The details: Alaskan Republican Sen. Dan Sullivan grilled Shanahan about the press reports in today's hearing of the Senate Armed Services Committee. Sullivan asked the acting secretary, a former Boeing executive, whether he had been to Camp Humphreys, a U.S. Army base in South Korea. Shanahan said he had not. "You should go there. It's an outstanding facility," Sullivan said. Shanahan agreed with Sullivan that the Koreans paid for the nearly the entire cost of Camp Humphreys. Sullivan: "So 93 percent of a U.S. Army base on Korean soil paid for by the Koreans. Maybe the press reports aren't true — cost plus fifty. Are we driving our allies away from us in the way that Putin and Xi Jinping are probably cheering right now?" Shanahan: "Senator, we won't do cost plus fifty percent." Sullivan: "So, those reports in the press are incorrect? Shanahan: "They are erroneous. We're not going to run a business, and we're not going to run a charity. The important part is that people pay their fair share...But at the end of the day, people need to carry their fair share, and not everyone can contribute. But it is not about cost plus 50 percent." Secretary of Defense James Mattis announced Thursday that he will step down, after two difficult years in which he and President Trump were often not on the same page. Mattis underscored their differences in his resignation letter, telling Trump he had the right to a defense secretary with more closely aligned views. Why it matters: Mattis was a traditionalist who believed in an international order led by the United States, in respecting and supporting its allies, and in keeping its commitments. His departure leaves the administration without an experienced, centrist foreign policy hand. Disagreements over the U.S. troop presence in Syria and the politically motivated deployment along the U.S.–Mexico border may have been the last straws on a camel's back long close to breaking. Mattis also reportedly opposed the reductions to the U.S. military presence in Afghanistan Trump has sought. The bottom line: Although Mattis had been relegated to the periphery of Trump's policymaking, he remained a reassuring presence to U.S. allies. Trump would be best served by a successor to Mattis who can make the case for America's active role on the world stage, as tensions in the Middle East, East Asia and beyond are likely to further test his administration.